Next month is the first day of Spring! Hurray! Soon it will be that time of year for the annual Spring Cleaning ritual. 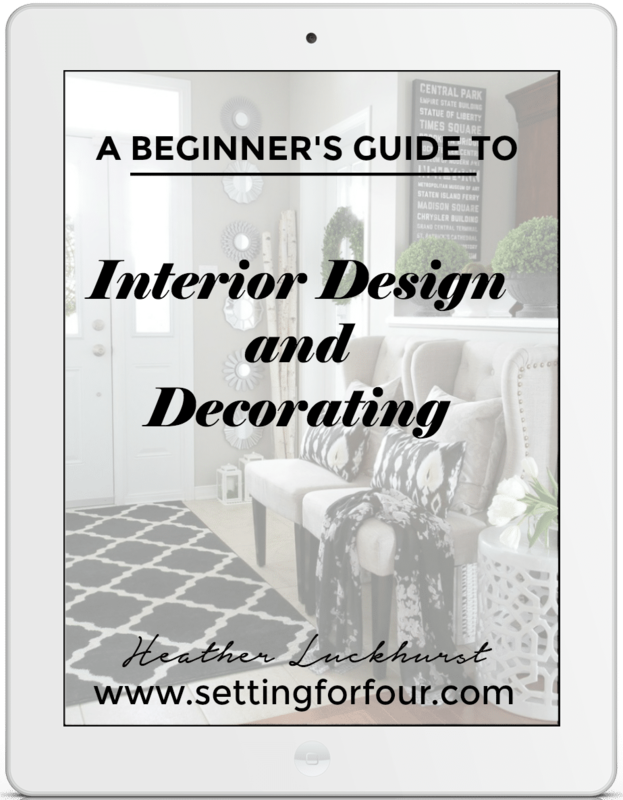 Spring cleaning can seem overwhelming but to make things a little easier I’m sharing my go-to cleaning tools, floor care tips and a Free Spring Cleaning Checklist Printable for you to download! 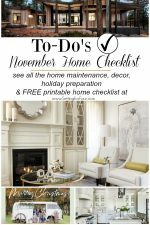 I hope these cleaning tips and this Keep It Clean checklist will simplify what can seem like a challenging chore – they really help me! I love using diluted vinegar and water (50/50) in a spray bottle along with newspaper to clean my windows. It’s inexpensive and just plain works! I always have clean cloths on hand (I like to recycle old t shirts cut up into squares for this!) for dusting and cleaning up small spills. A broom is practical and handy for sweeping, of course! 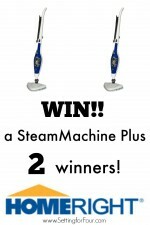 I have an inside broom and an outdoor one that I keep in the garage to clean our outdoor walkway and steps. 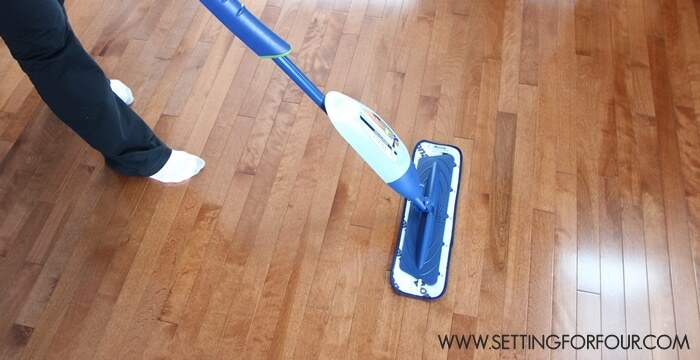 A Bona hardwood floor mop cleans up smudgy, dirty hardwood floors in a jiffy. 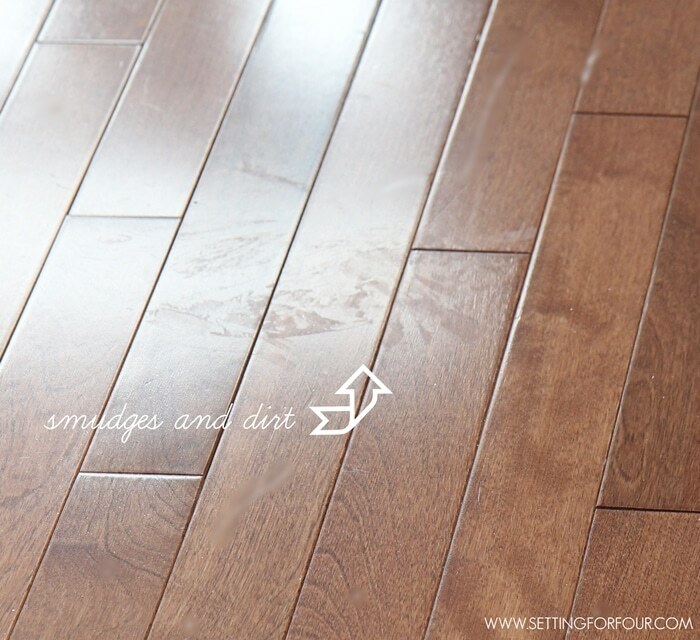 Having clean, shining hardwood floors is an essential part of my spring cleaning ritual to get rid of those dusty, dull smudges. 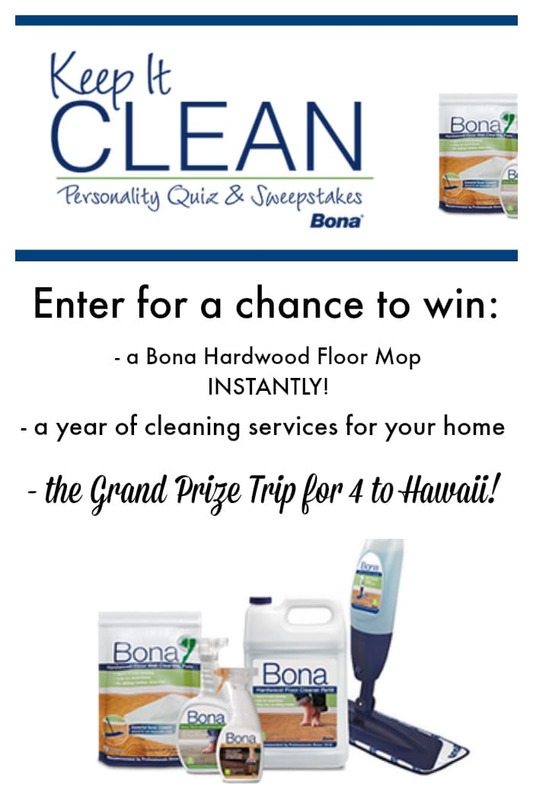 The Bona hardwood floor mop cleans my hardwood floors to polished perfection easily, quickly and with no toxic chemicals! We have a lot of hardwood flooring in our open concept home – through the family room, dining room, hallway and stairs. I love our hardwood floors… the richness, durability, warmth, style and color it gives our rooms! Plus it’s an investment that adds value to our home and I want to protect that from smudge and dirt! Cleaning them used to be a real time consuming chore for me. Not anymore though! 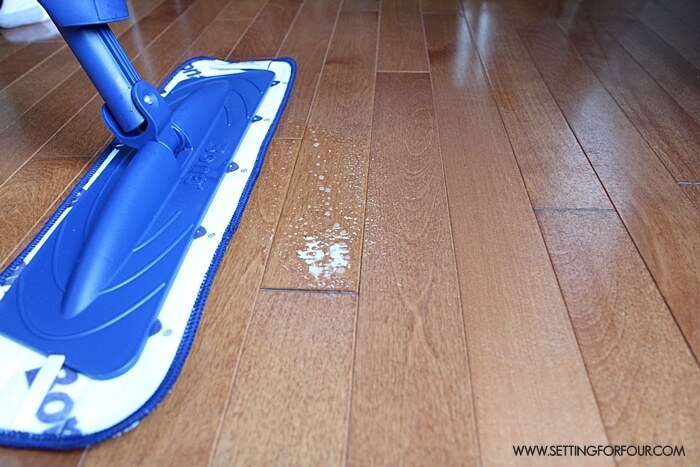 This Bona mop is amazing for cleaning my hardwood floors to a gleaming shine! Bona cleaners are also residue free so no rinsing is required. This saves so much time! 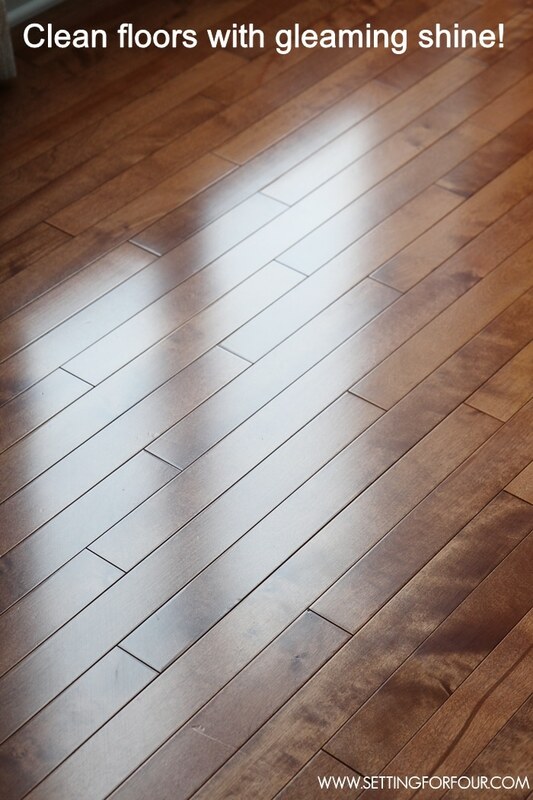 Our hardwood floors after cleaning with the Bona hardwood floor mop – look at the gleaming shine! 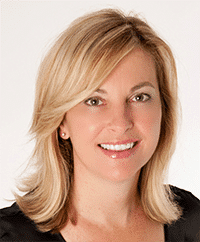 I hope you enjoyed my Bona Mop floor care tips and my favorite spring cleaning tips too! 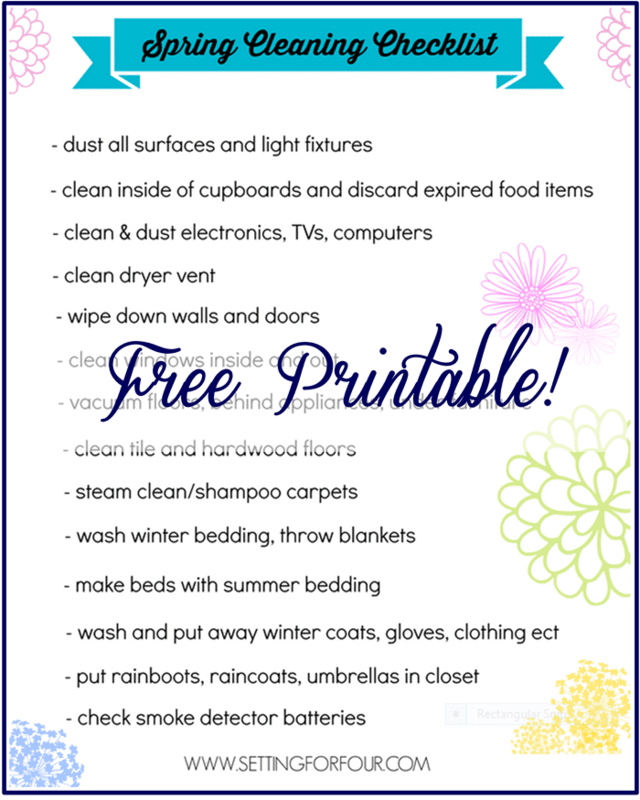 Spring Cleaning Checklist – Free Cleaning Printable to download. Enjoy! 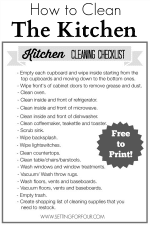 See my FREE Printable Kitchen Cleaning Checklist too! Great cleaning tips… And that mop!!! Must buy one ASAP! 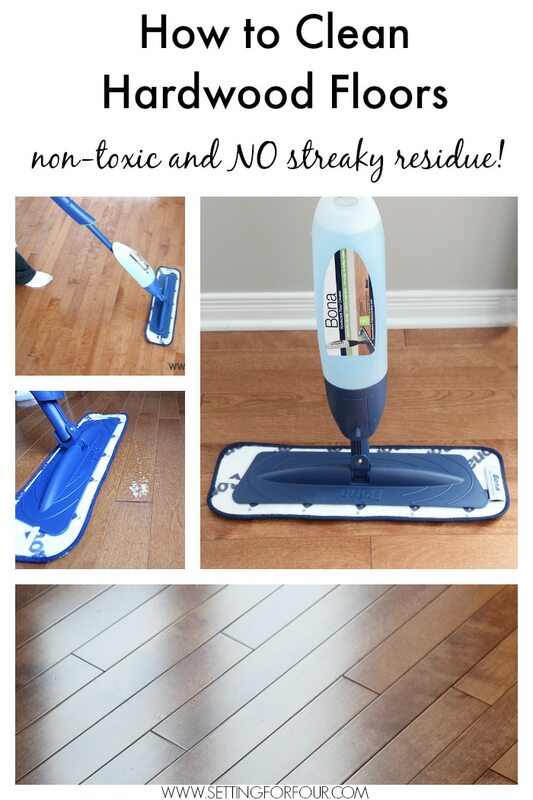 Always looking for a chemical free way to clean our hardwood floors! For sure Katie – I love the non-toxic way this cleans too! Mamas love that right? Wow! Bona does an amzing job on wood floors! 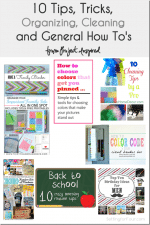 Thanks for the free printable and a chance to win a trip to Hawaii! You’re welcome Meegan! I love my Bona mop! It really gets my floors glowing in a jiffy! 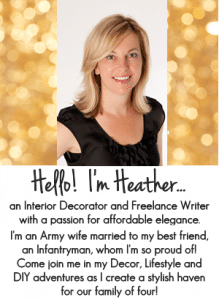 FABULOUS POST, Heather! 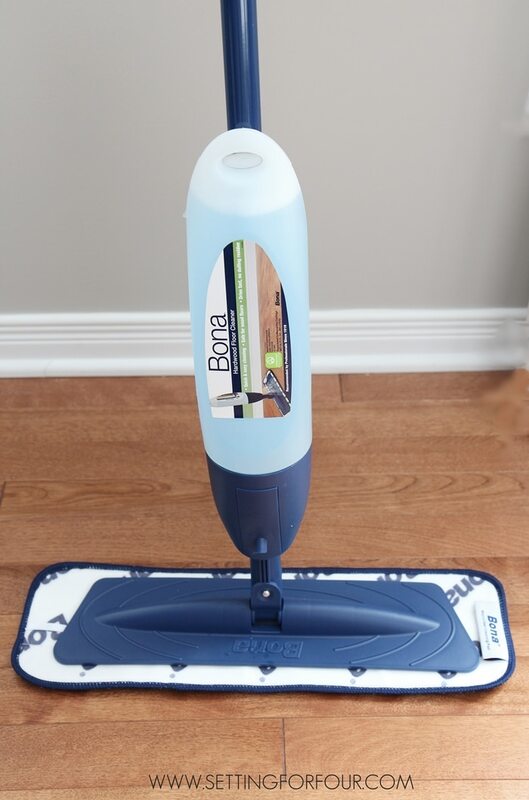 I love Bona and use my Bona floor cleaner often! LOVE your Spring cleaning free printable! Your floors look beautiful! I love Bona. I’ve been using it for over 19 years! Thanks Christy! It’s definitely a proven name isn’t it!